Debt consolidation is a tool for people looking to refinance their personal debt by taking out one loan to combine everything. 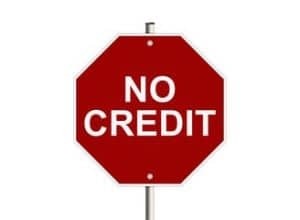 One way that people do this is to transfer their open credit card balances to a credit card with a lower interest rate. Another option is to take out a home equity line of credit to pay off all of your other loans at once. There are certain companies that specialize in offering debt relief services to people who feel like they need a helping hand in organizing a way to handle their debt. You may have seen commercials for companies offering consumers a way to stop calls from collections agencies and even lower their total debt obligation. The basic principle to keep in mind when considering this as an option is that if an offer sounds too promising to be true, it almost certainly is. Debt relief companies may be able to provide sound advice and offer a plan, but they cannot eliminate all of your debt or guarantee that you will not have to file for bankruptcy. Remember that all of their services also come with a fee. You should never feel like filing for bankruptcy or using a for-profit debt relief service are your only options in getting a grip on your debt. A simple way to achieve the same result could be to take out a personal loan from a bank to wipe out your existing debt at once. This will give you some structure and peace of mind knowing that you are only responsible for paying one lender at a time. The reason this option is not always available for everyone is that it typically requires a good credit score for approval and may not offer reasonable interest rates for those with lower scores. 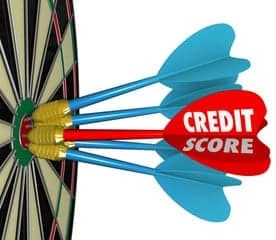 The odds are that if you are finding yourself ambushed with debt, you probably do not have as high a credit score as you would like. A bank may be willing to work with you on a financing option, especially if you have been a loyal customer at that particular institution for many years. If you are a member of a local credit union, you may also find that you will have an easier time getting approved for a personal loan without a perfect credit score. With the range of options available for overcoming significant personal debt, it does not make sense to commit to any particular route before exploring plenty of options and offers. For personal loans, you can save lots of money in interest and reduce the time it will take to get rid of your debt by obtaining multiple rate quotes from different financial institutions. Many major banks now offer a pre-qualification application online, which allows you to get a free estimate of your total borrowing potential and interest rate. Despite some misconceptions to the contrary, exploring your options through rate quotes online will not damage your credit score because they only count as soft inquiries by banks. It is not until you actually go to the bank in person to sign for a personal loan that a hard inquiry would actually be made into your credit score. Even though you might feel desperate and stressed to choose a repayment option quickly, you should not pass up the chance to explore all of your debt consolidation options.